The next show will be held on Sunday 23rd June 2019. This will be the 125th show and will be the traditional family day out! Join us at the beautiful Sutton Park. With approximately 250 competition classes including equine, cattle, sheep, goats, a variety of crafts, horticultural, home produce and many more, the day will be filled with the best of life in the Yorkshire countryside. 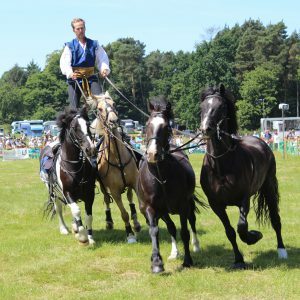 Each year the show is run with both an agricultural and a member of the public’s interests in mind, we will host a variety of exciting and educational displays for everyone throughout the day. There’s also the opportunity to do some guilt free retail therapy with the trade stands from local artisan producers. Huby & Sutton show is extremely grateful for all the support it receives from sponsors, exhibitors, helpers and visitors who, when put together, make a wonderful day out for all the family. 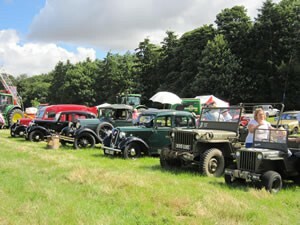 For more information visit their website at www.hubyandsuttonshow.org.uk.